In 1993, he was appointed by the Colorado Judicial Department's Office of Dispute Resolution (ODR) as the first contract mediator for the Ninth Judicial District, which includes Aspen, Carbondale, Glenwood Springs, Rifle, and Meeker. He currently serves as coordinator for this district's mediation program. 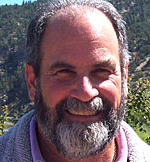 Larry earned his Masters degree in human communication from the University of Northern Colorado, where he has also taught Mediation and Conflict Management. He has conducted numerous workshops and trainings, effectively facilitated small and large group meetings, and provided helpful consulting services throughout Colorado and the United States. Larry's commitment to and participation in continuing professional education and the improvement of the mediation and facilitation professions illustrate his dedication to quality professional services. Customized trainings and organizational interventions are available.